Tennessee Williams At 100: Forever 'The Poet Of The Outcast' From The Glass Menagerie to Cat On A Hot Tin Roof, Tennessee Williams was one of American theater's most prolific — and most lauded — playwrights. On the centennial of Williams' birth, Tom Vitale looks back on his life and career. Tennessee Williams, born 100 years ago March 26, changed the course of American theater with titanic, intensely human dramas including The Glass Menagerie and A Streetcar Named Desire. Even people who've never seen a Tennessee Williams play know his words — and the kinds of characters who speak them. "Whoever you are, I have always depended on the kindness of strangers." — Blanche Dubois, in A Streetcar Named Desire. "Stella! ... Stella!" — tough-guy Stanley Kowalski, filled with liquor and guilt, calling to his wife from the steamy streets of New Orleans in the same play. Blanche is Stanley's sister-in-law, a faded Southern belle at once attracted to and repulsed by the brute. "He's like an animal, has an animal's habits," she tells Stella. "There's even something subhuman about him. Thousands of years have passed him right by and there he is — Stanley Kowalski, survivor of the Stone Age, bearing the raw meat home from the kill in the jungle. And you, you here waiting for him. Maybe he'll strike you, or maybe he'll grunt and kiss you. That's if kisses have been discovered yet." The observer of humankind who crafted those words, Thomas Lanier Williams, was born 100 years ago — on March 26, 1911 — in the Mississippi Delta town of Columbus. In a career that spanned half a century, he redefined what a play could do. He created some of the most remarkable characters in world drama in his more than 70 plays, including Cat on a Hot Tin Roof, Sweet Bird of Youth, The Rose Tattoo and The Night of the Iguana. He also wrote two novels, several collections of poetry and stories, and adapted many of his plays to the screen. "He changed the history of American drama and, I think, drama in the English-speaking world with his first two plays because they were so different," says Kenneth Holditch, editor of The Collected Plays of Tennessee Williams. "He broke free of what had been going on in the 1920s and the 1930s — all those social-protest dramas — and gave us something totally new, this wonderful understanding of human nature, human suffering ... human foibles." 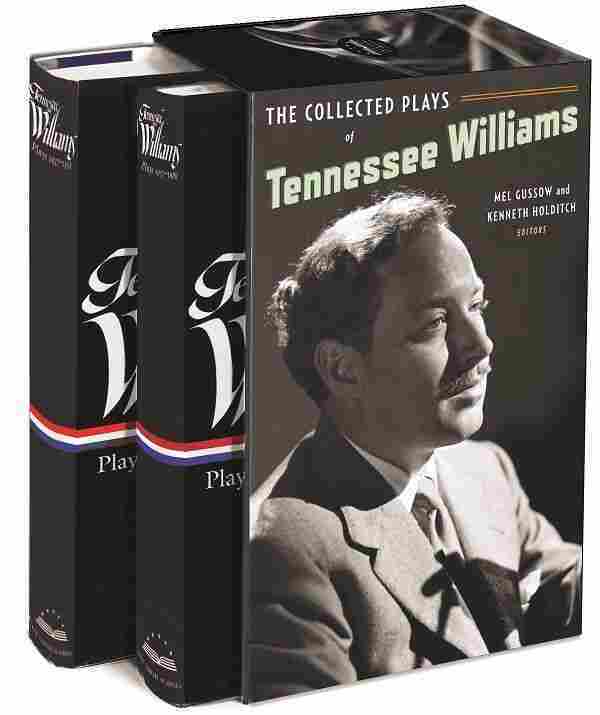 To celebrate his centennial, Library of America released The Collected Plays Of Tennessee Williams, a two-volume set of 32 works from across his 50-year career. But it was in New York that the playwright made his first big impression. The Glass Menagerie enjoyed a successful Broadway run and won the New York Drama Critics' Circle Award for best play of 1945. He fell in with a circle of actors, writers and directors that included Marlon Brando (whose career was launched by his portrayal of Stanley Kowalski in the stage version — and later the film — of Streetcar), and Eli Wallach. "We were not interested in doing any films," the 95-year-old Wallach says, sitting at the dining table in his Upper West Side apartment. "We were interested in doing plays. And Tennessee was right at the top. His writing excited all of us." Wallach spent the first five years of his career acting in Williams plays. He originated the character Kilroy in 1953's Camino Real. He won a Tony for creating the role of the truck driver, Mangiacavallo, in 1951's The Rose Tattoo. But he says his favorite remains The Glass Menagerie. "What a play," he says, a bit of awe in his voice. "You take a family and you wring it around. ... Audiences were startled by this man's ability to do that." The play tells the story of the shy, physically disabled Laura and her overbearing mother, Amanda, who's determined to find the young woman a husband. Menagerie's Laura and the fragile, disgraced Blanche in Streetcar are characters that evoke Williams' greatest gift, says Holditch: the writer's compassion for what he himself — a gay man when it was anything but acceptable to be — called "The Fugitive Kind." "He is the poet of — and the dramatist of — the outcast," Holditch says. "He's fascinated by and champions those people who have been pushed outside the mainstream of society for some reason or other," Holditch says. Williams' empathy for the downtrodden grew out of his own experience. His father drank heavily and argued bitterly with his mother. When the young boy began writing poetry, his father belittled him as a sissy, and his classmates bullied him. In a 1973 interview, Williams told filmmaker Harry Rasky that his sister Rose became his closest friend. "My sister and I were unusually close as children — I think mainly because at the age of 7, I had this very, very, very bad case of diphtheria, which made me virtually an invalid," Williams recalled. "I think my mother made me feel more of an invalid than I actually was. So I was naturally thrown mostly with my sister as a companion. And so my sister and I grew so used to being company for each other that we tended to rely on each other's companionship rather than seeking friends outside the household." By the time he changed his name to Tennessee and moved to New Orleans in 1939, his sister Rose was mentally ill. Her suffering deeply affected the playwright. After his initial success, Williams — pictured on the set of The Night of the Iguana at London's Savoy Theatre — traveled often, looking for inspiration to stimulate his writing. "She was a schizophrenic, and she was subjected to a prefrontal lobotomy," Holditch says. "And she spent the rest of her life in that sort of twilight zone inhabited by those people who've had prefrontal lobotomies. Tennessee was not at home when this happened, and he always felt somehow responsible for that. So he was always writing about Rose. The name Rose turns up in every single play he wrote." Laura in Menagerie was modeled on Rose. The tattoo in The Rose Tattoo is etched, says the character, "right over my heart." Williams' ability to express his guilt and anguish in his work won him many honors. He received two Tony Awards, two Pulitzer Prizes — for A Streetcar Named Desire and Cat on a Hot Tin Roof — and four New York Drama Critics Circle Awards. And though age and alcohol had begun to catch up with Williams by the mid-1960s, he continued to write — every day, from six in the morning until noon. 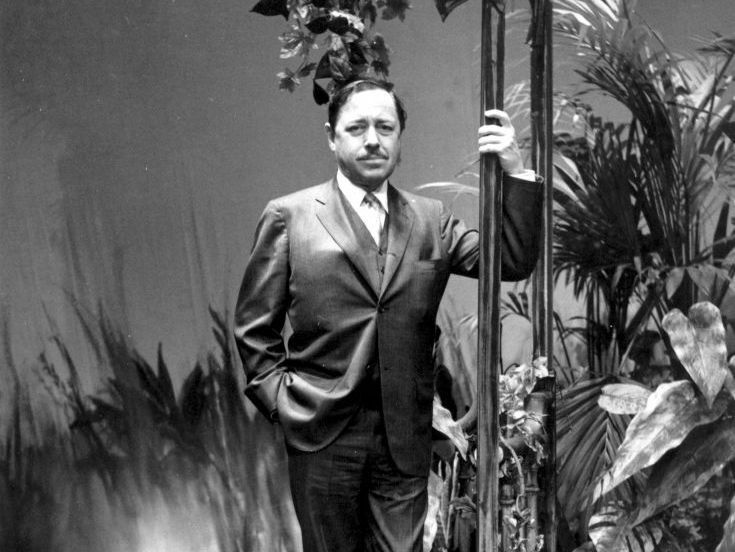 Holditch says at his best, Tennessee Williams teaches us an important lesson. "He said of his sister when somebody inquired about how she was doing in the nursing home ... he said, 'She's surviving with grace.' And I think he, in so many ways, taught us how to do that," Holditch says. At the end of The Glass Menagerie, Williams wrote an ode for the character of the narrator, Tom, to his disabled sister, Laura. ... everywhere I was pursued by something. It always came upon me unawares. Perhaps it was a familiar bit of music; perhaps only a little piece of transparent glass. And all at once, my sister touches my shoulder. Laura, I've tried to leave you behind, but I'm more faithful than I intended to be. I reach for a cigarette. I cross the street; go into a bar. I buy a drink. Anything that can blow your candles out. For nowadays the world is lit by lightning. Blow out your candles, Laura. And so good-bye. 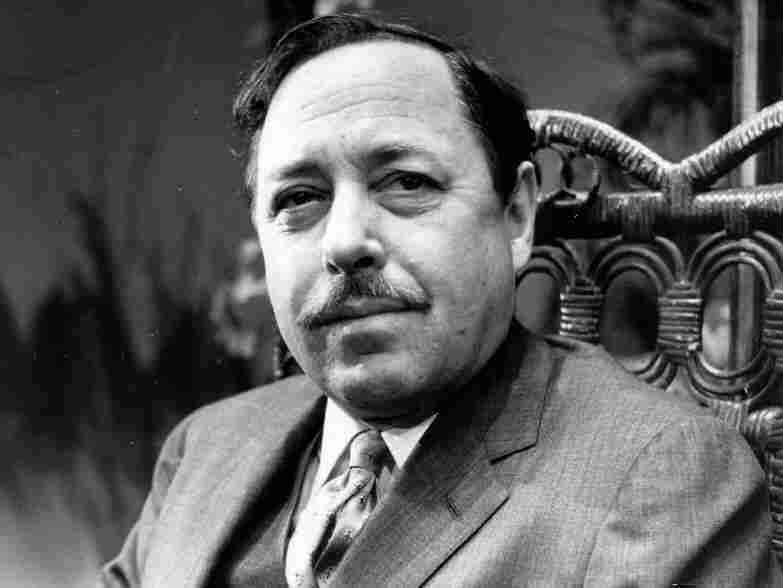 Tennessee Williams died in a New York hotel room in 1983 at the age of 71. He's buried in St. Louis — where he grew up — alongside his sister Rose.